I take an online Hebrew class every Monday afternoon. A couple of weeks ago, I was working on my vocabulary flashcards and I came across the word “season or time” which is “et” or עת in Hebrew. And it got me thinking about it’s meaning. Most of the prophetic words I hear are about seasons. Season of miracles, season of favor, season of restoration, time of breakthrough, etc. Almost all of these use Old Testament Scriptures to confirm them. And the focus is on “doing.” For example, God will release favor in our lives if we’re faithful to do all He has said. I love the prophetic. There have been times I’ve received prophetic words in my life that confirmed what the Spirit of God had already spoken to me regarding His direction or things concerning my destiny. And it gave me the boldness to act on it… to walk it out. I don’t have an issue with “seasons” per se. But the problem with seasons is it keeps us focused on a timeframe. One of the aspects of me and my husband’s business is farming. Farming is seasonal….. even in California where we farm year round. We still have seasonal crops. If we’re not careful, we catch ourselves using “catch phrases” that box us into ways of thinking in particular seasons. For instance, cherry season is financially great, apple season we can finally rest, summer fruit season is BUSY, December – January is our leanest season, etc. While all of that seems to be true in the “natural,” it can keep us boxed into certain expectations or limitations. Keeping us walking in by sight and not by faith. Prophetic “seasons” can do the same. They keep us future focused on what Jesus is going to do, instead of what Jesus has already done. They keep us looking at just one thing for the “season” such as God’s favor instead of looking at the FULL finished work of Christ in our lives and the truth that He has given us ALL things that pertain to life and godliness NOW. So while I was studying for Hebrew and noticed the word season is “et” or עת in Hebrew. It is made up of the letters “ayin” and “tav”. “ע” which is ayin in Hebrew is the idea of seeing and watching as well as knowledge. ayin (Gen 6:8) referring to the eyes of the Lord. a word describing an eye…or insight or seeing or perceiving with God’s perspective. “ת” which is tav in Hebrew meaning cross or the sign of the covenant. I love that! God’s seasons in our life are all comprised of seeing things from His perspective, and that perspective is Jesus and His finished work (Heb 1:1-3). In every season of my life, I should expect to the finished work of the cross to be in operation in my life. No matter what a natural season may look like in my life, it is still a season of favor, abundance, health, goodness, grace, wisdom, breakthrough, prosperity, sonship, freedom, deliverance, etc. Luke 4:19 Jesus declared it a “year of God’s favor or a year of Jubilee.” Year is a cycle of time… a season. The root word for Jubilee in Hebrew is yabal, which means “to flow.” Jesus provided a continual flow for us in every season of our life. We don’t just have a season of favor, a season of peace, or a time of abundance. We have a lifetime of continual fulfillment…. of the ALL things that He provided for us for life and godliness. I still read prophetic words that come across my path about seasons, but now I read them as a reminder of what Jesus has done and what is already mine. Not dependent upon what I do, but mine by inheritance. I read them as God highlighting certain things that are part of the finished work so that I can grow in my knowledge of them. Gain more understanding of these things so that I can walk in victory. 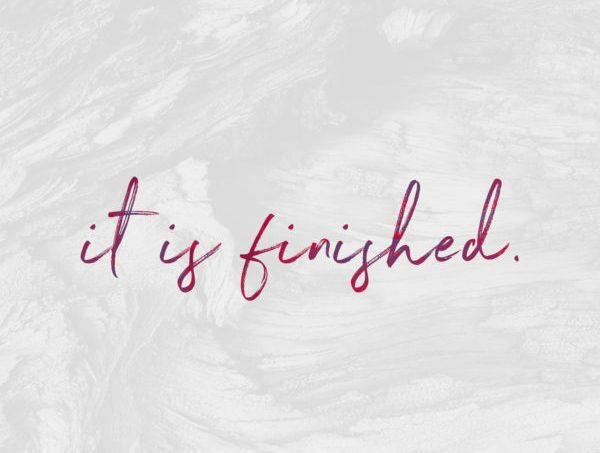 What did the finished work of the Cross provide? That’s your season! Walk in the revelation of it. Walk in the victory of it.